By now, we should all know the importance of having a consistent business name, address, phone number and domain listed throughout the web. Inconsistencies within directories send different signals to the search engines and can negatively impact your local listing position. Pigeon, the latest Google local update, seems to solidify this point with their move to more “traditional ranking factors” for local search. Last week, I had one of our Marketing Managers help create and clean up a list of directories for one of my clients. Each directory has a different process to adding and updating business information, but Factual was unique enough for me to remember that the process entailed and actual email to the company. 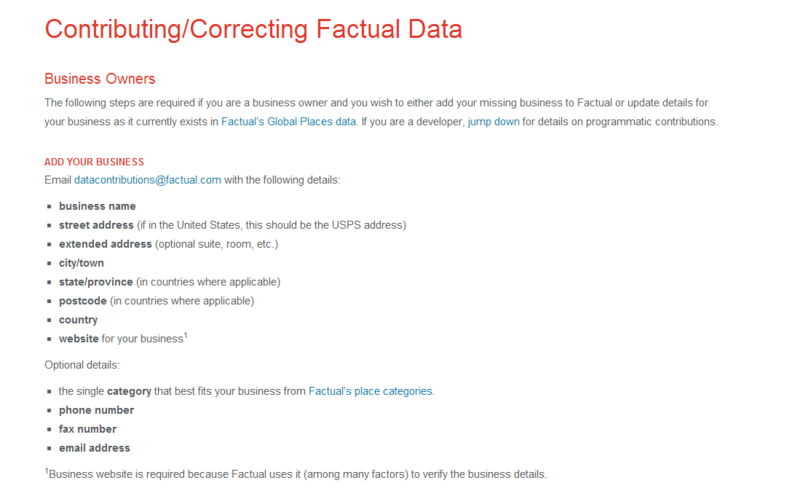 Like many other directories, Factual is relying on “trusted data contributors” to list your business. 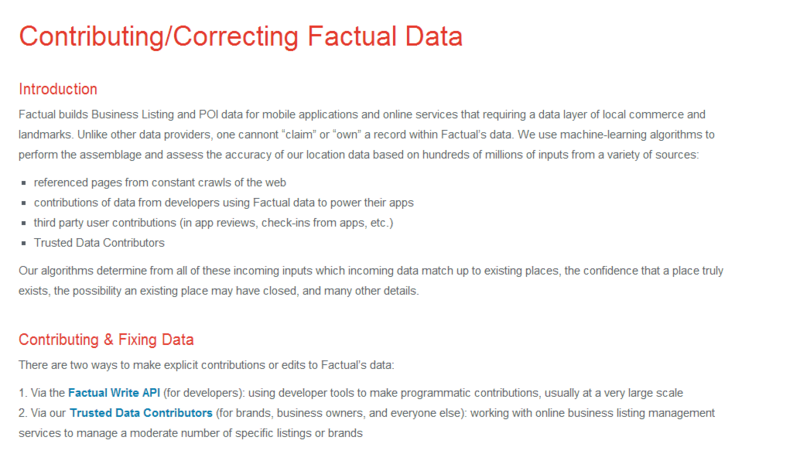 Not surprisingly, Yext is one of the top recommended data contributors. Unfortunately, this is taking the control of small business listings out of the hands of small business owners and into the hands of online marketing experts and tool providers. Does anyone else feel like they are being backed into a corner when it comes to managing your business information? *Thanks to one of our readers Nigel Allen for the tip!